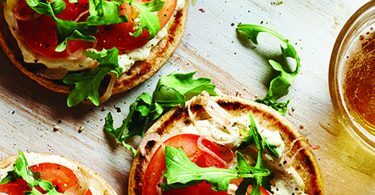 This simple and stylish canapé brings together the sweet flavours of crab and corn with sumptuous stretch mozzarella. 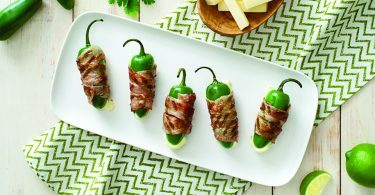 Serve these toasts family-style at your next summer get-together to impress your guests. Boil corn in salted water for 5 minutes, or until tender. Drain well and cool. Using a sharp knife, remove corn kernels from the cob. 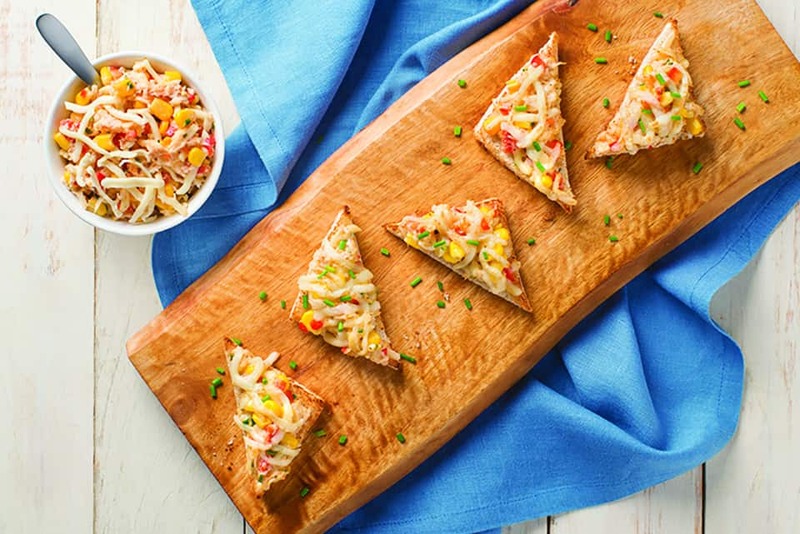 Toss crab with corn kernels, mayonnaise, red pepper, 2 tbsp (30 ml) chives, lemon juice, Old Bay seasoning, lemon zest, Worcestershire sauce, salt and pepper until combined. Stir in half of the Mozzarellissima. Cut each slice of bread into 4 triangles. Place on foil lined baking sheet and broil each side for 1 to 2 minutes, or until lightly toasted. 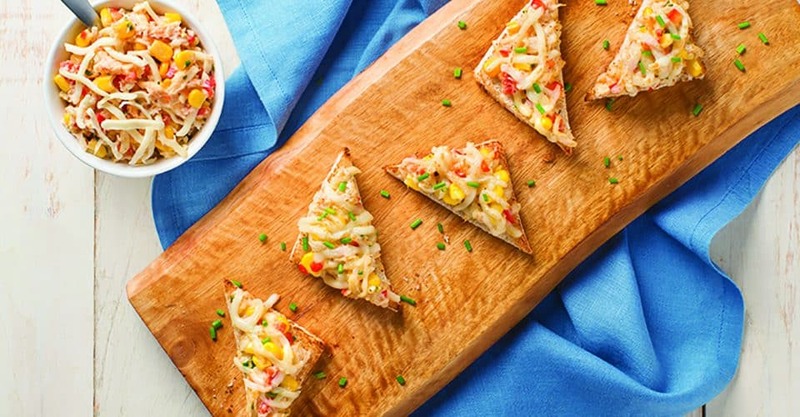 Top each toast triangle with crab mixture and sprinkle with remaining mozzarella cheese. Broil until cheese melts. Garnish with remaining chives before serving. Tip: Add a dash of Louisiana style hot sauce to the crab mixture for a spicy kick.